Hundreds of unique customized food carts & concessions stands design here. 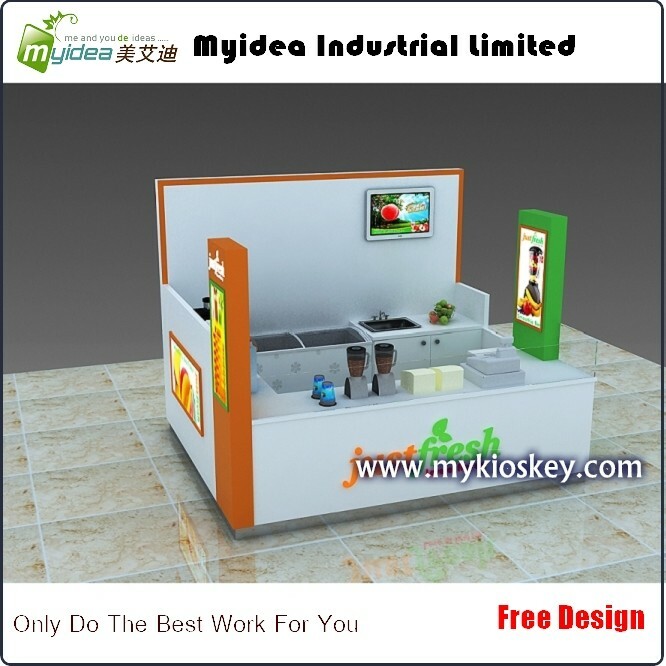 We supply different concepts of commercial wooden food kiosk with self contained concession stands for sale. When opening a restaurant or cafe will cost huge invest . A mobile food concession cart or kiosk will be a great options. You can push a food carts and bring the food to your customers directly. As we know , shopping mall has very large consume traffic nowadays. 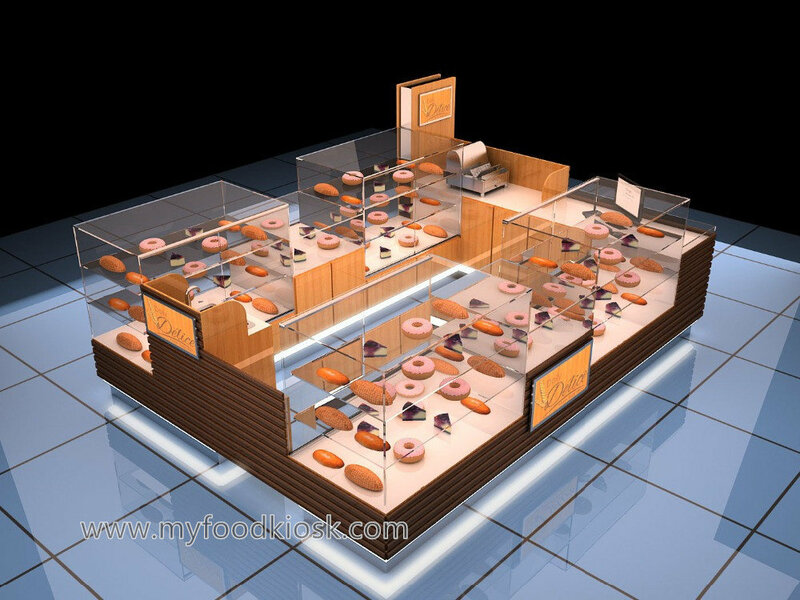 With a mall used food stall you can get as much customer as in a permanent food shop . While the cost are far less than that. So why not opening a kiosk for a start ? 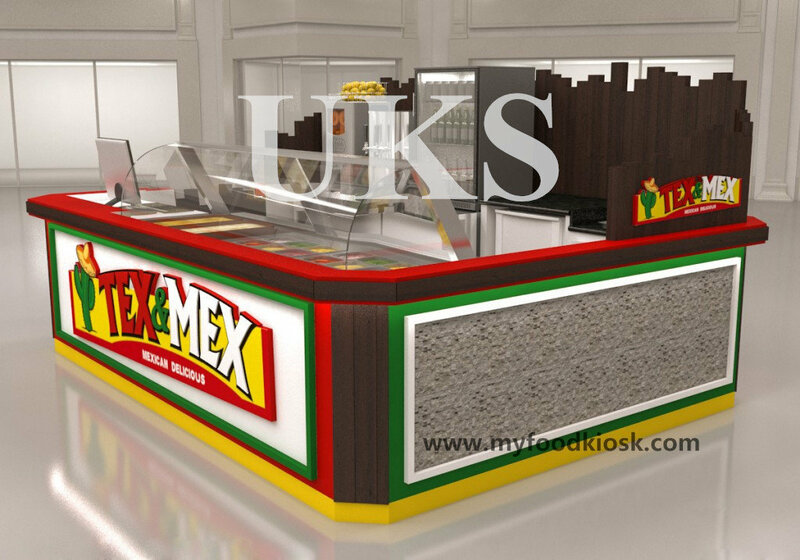 Food Kiosk in mall has a great advantage is that “less cost & easy franchise”. Especially for some fast food service. So open a successful mall used food stall will be a great business ideas in 2019. 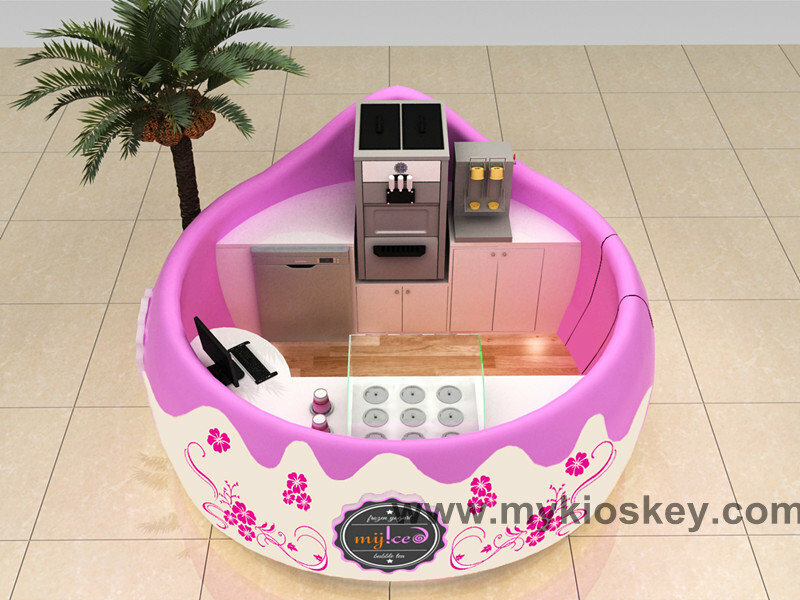 They are huge of different food & beverage business threads and ideas for you to choose . 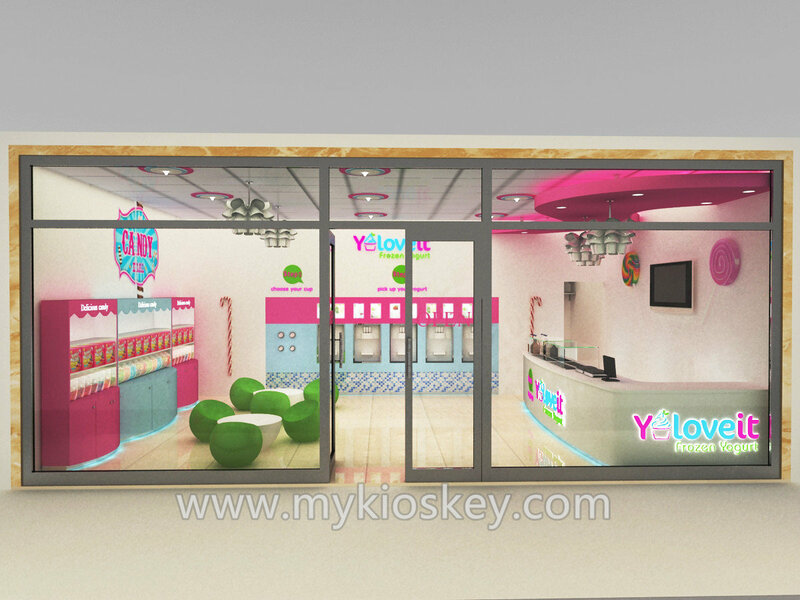 From the most popular coffee kiosk & juice bar to sweet a chocolates candy retail . And from hot food like waffle ,crepe to cold food as ice cream kiosk, self serve frozen yogurt store. 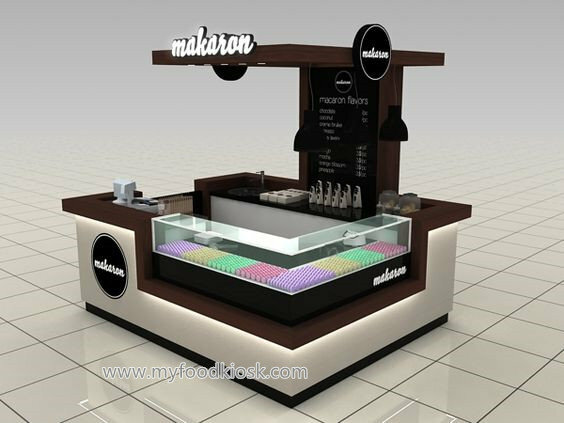 Your can even start a fried donuts , churros kiosk with great profitable feedback. 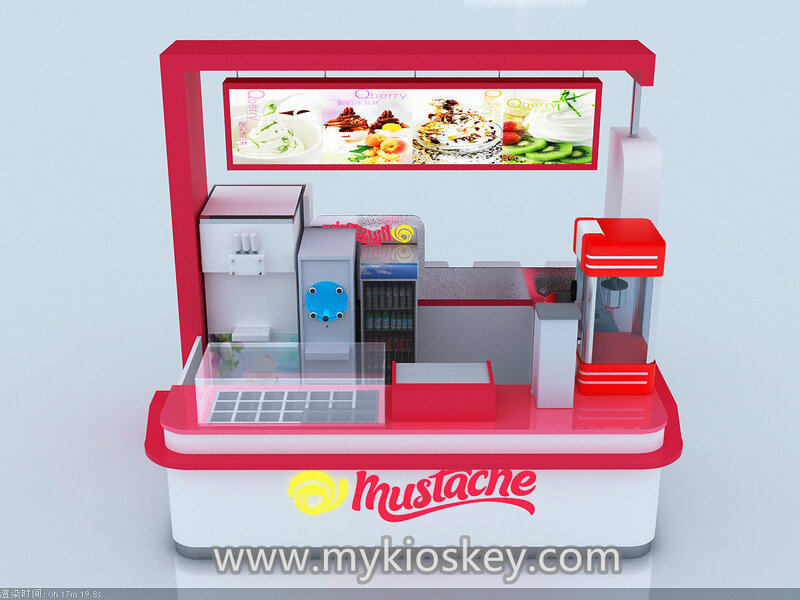 Any snacks food kiosk for sale can be success until you are making good food with heart sincerely service. 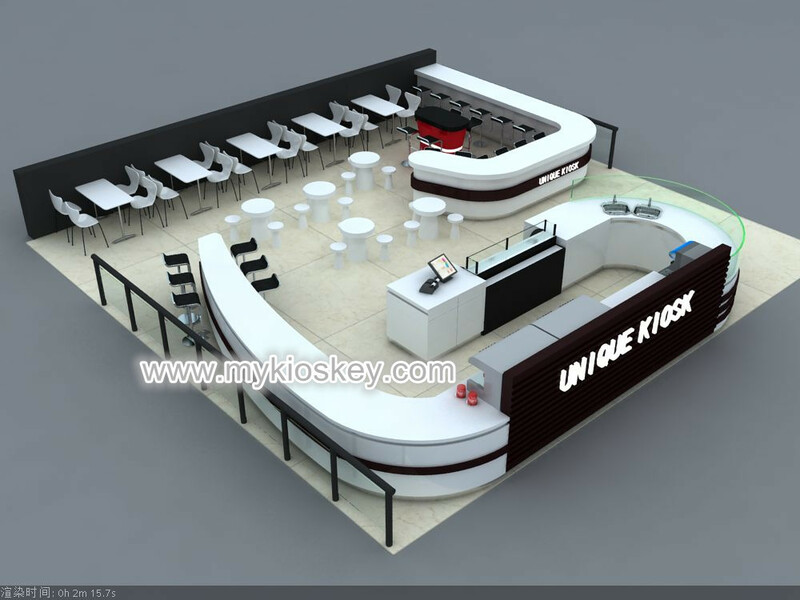 How to open a fast food kiosk in mall ? 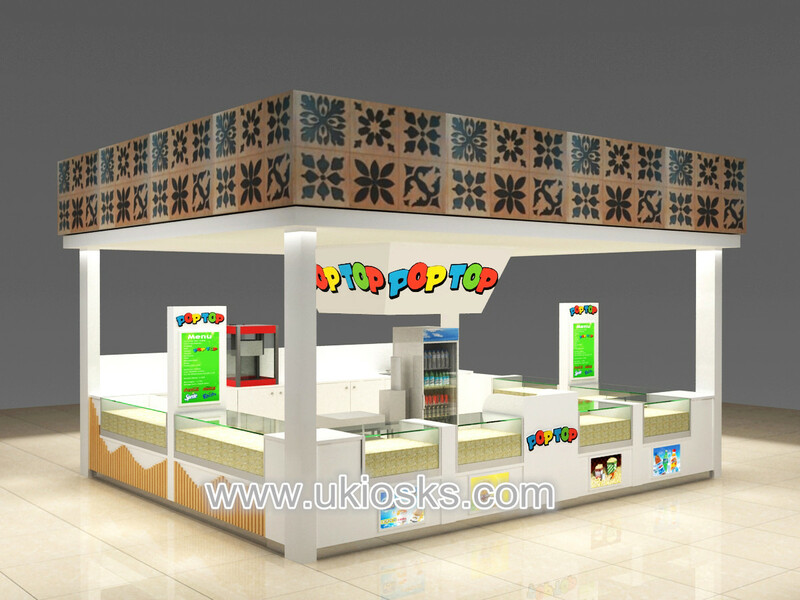 There are several simple steps to start a kiosk in shopping mall, airport, train station or business center. 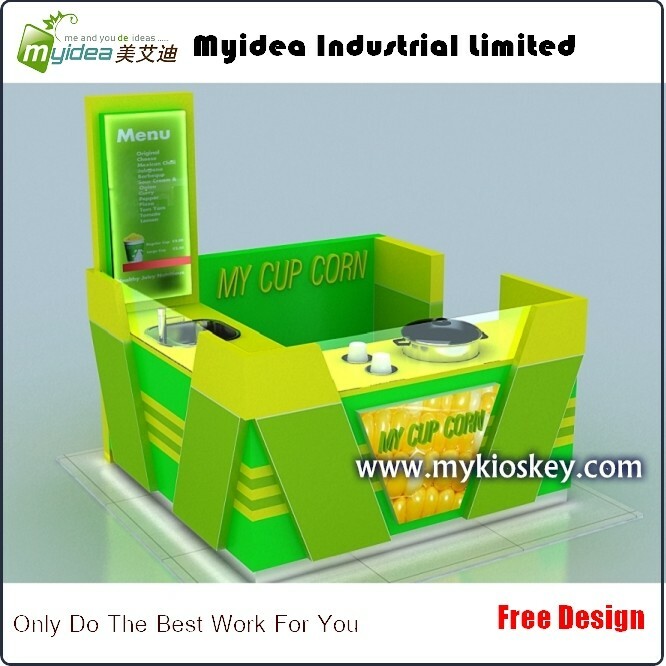 You can exact follow the steps and we can guarantee you will open a the kiosk successfully. Choose a right & suitable business threads . (we have many options and successful projects here blow for your reference). 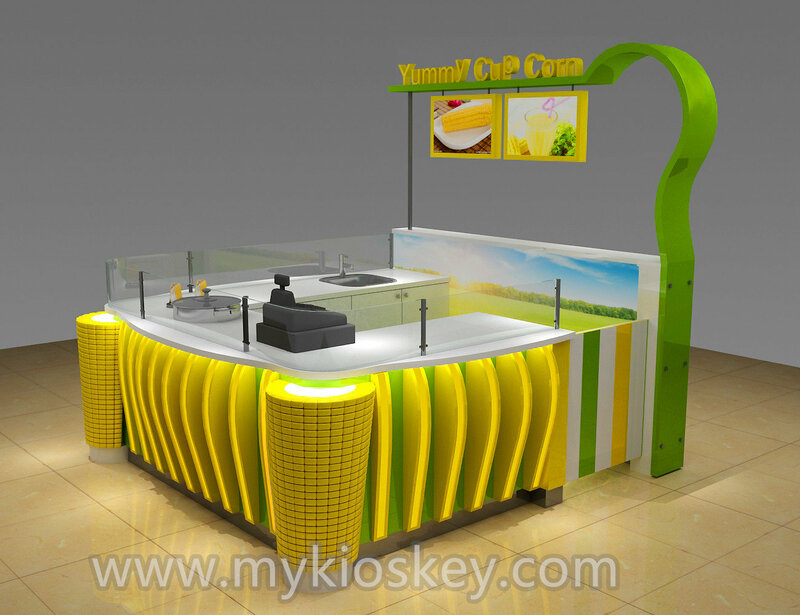 Accomplish a great unique food kiosk design. Submit your design to mall or office for approval and sign a lease. 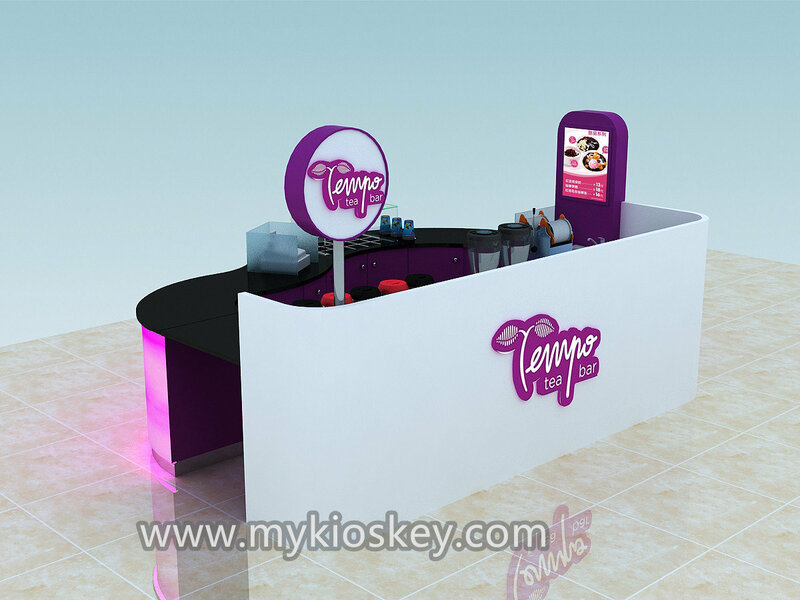 Normally mall will first give you a lease size .Then you can design your kiosk with a specified dimension. Find a kiosk manufacturer build , ship & install your kiosk in to location. Order necessary equipment & installed. You can only done this step properly only if you have work right in the design step. When you doing the design procedure . A clear equipment list must be delivery to designers to arrange a floor plan. So when manufacturer build the kiosk can leave the space for your equipment. Hire workers and open your business. 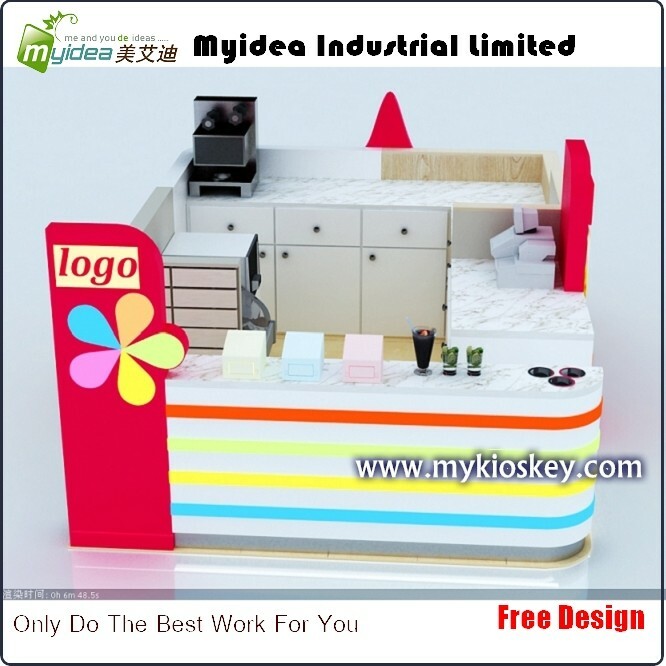 MYIDEA is a leading supplier in design and manufacture retail leasing platforms . 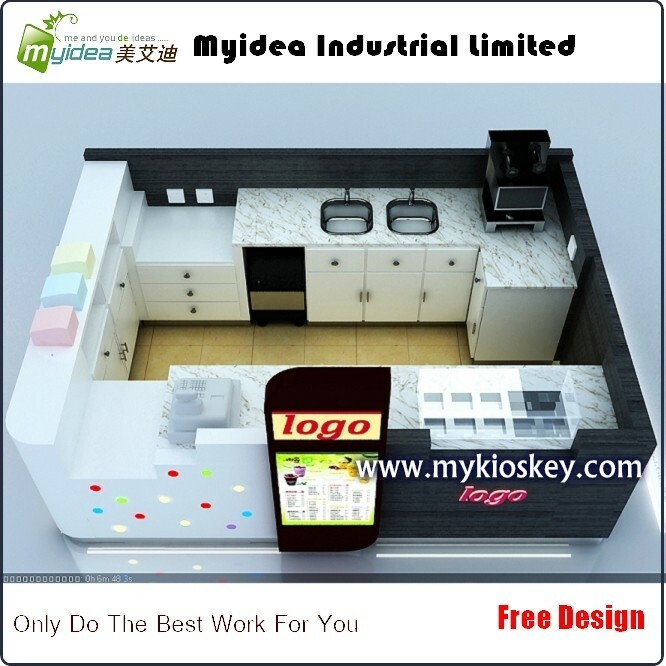 We have experienced design team & skilled workers . 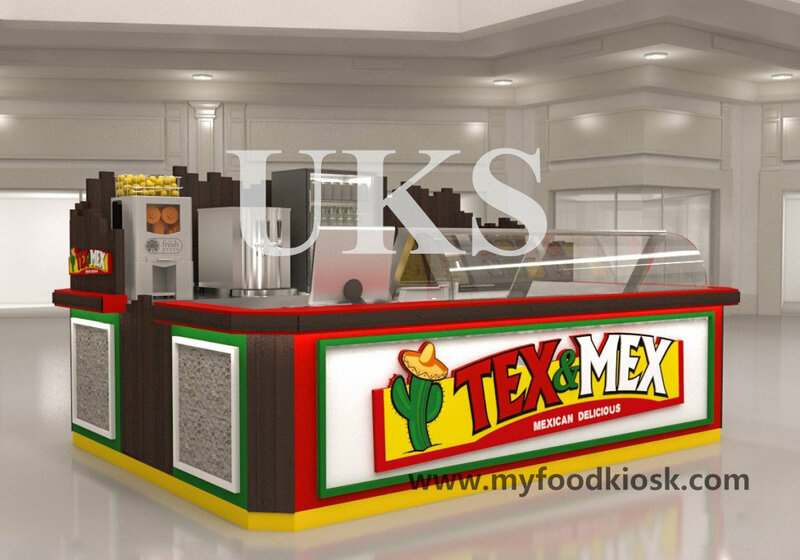 Since 2002 ,We start supply mall used food & concessions kiosk carts all over the world. When you planing to start your mall kiosk business. You just need bring us your ideas . 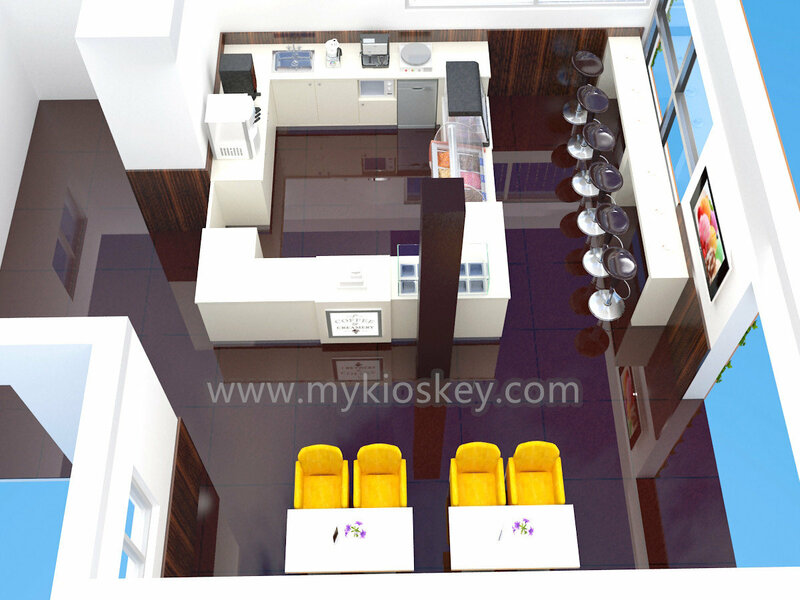 We will make 3D max rendering and design concept for your . After your approve the 3D visual designs . A specified construction drawing to sent you to approval. Which contains detailed materials we are going to use and exact size of each equipment components. A mobile food kiosk & food carts are the best concessions stands for business starters , With less cost and easy mobile characters, You can easy set up and knock down them , then move to a better locations. 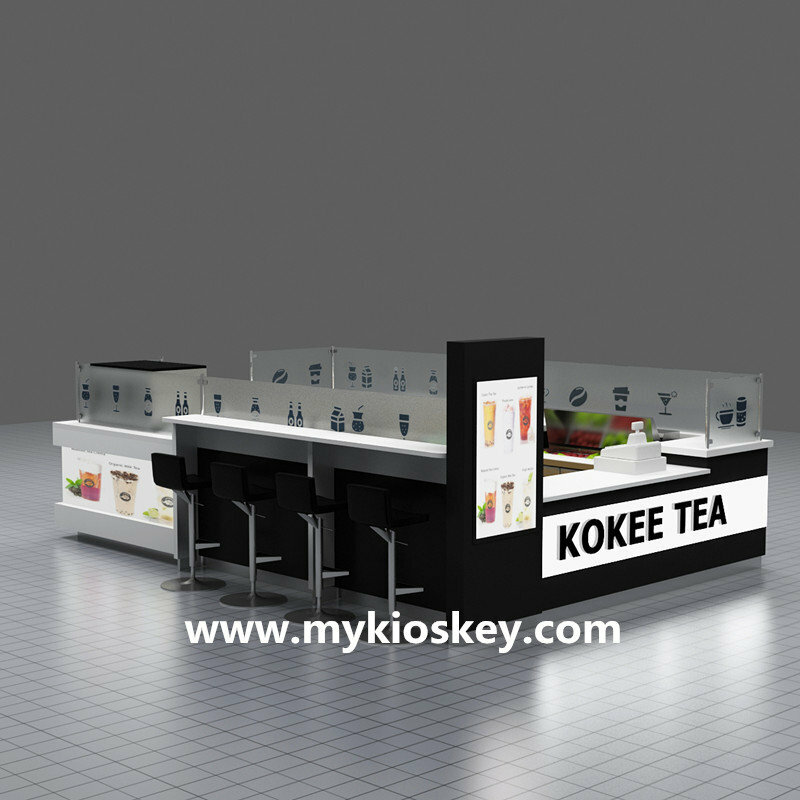 What’s more, When you buy kiosk cart in China , You will save a lot of money . Because the low raw material cost and labor cost. The kiosk price are lower down a lot . 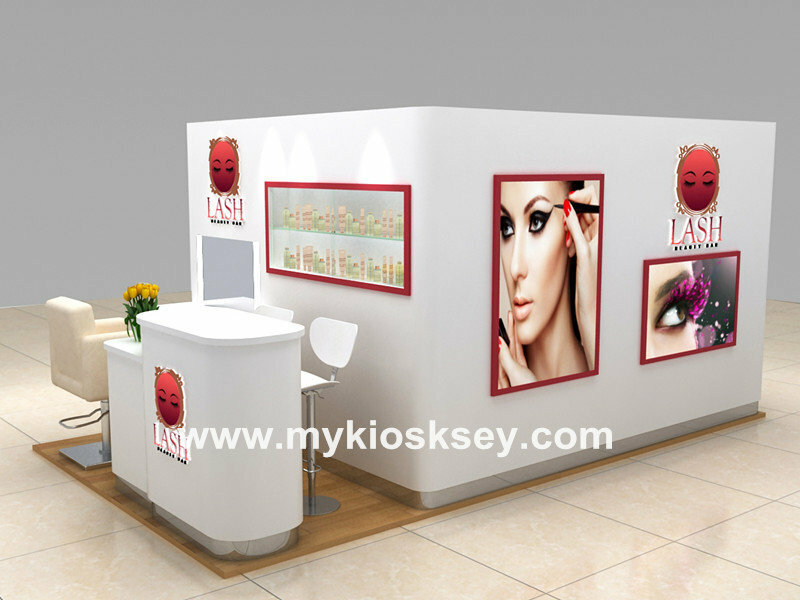 Contact us team now for the latest kiosk cost and design concepts.